The Coulter Principle (also known as Electrical Sensing Zone) is the leading technology in high resolution and accuracy and is enhanced even further in the Multisizer 4e by using Digital Pulse Processing technology which provides ultra-high resolution, multichannel analysis and accuracy that is unattainable by other technologies. 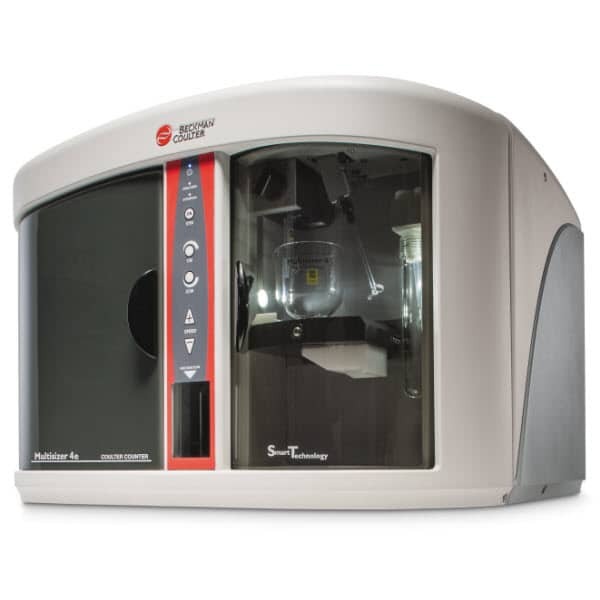 Unaffected by particle colour, shape, composition or refractive index, the Multisizer provides size distribution by number, volume and surface area with an overall sizing range of 0.2µm – 1600µm. This product is the subject of ISO Standard (13319) and a number of ASTM methods for such diverse applications as toner powders and cellular analysis. The Multisizer 4e can be used for many different applications.